NEWBONE - Development of load-bearing fibre reinforced composite based non-metallic biomimetic bone implants - Pyrogenesis S.A. The aim of the NEWBONE project is to develop fibre reinforced composite (FRC) material load-bearing implant. 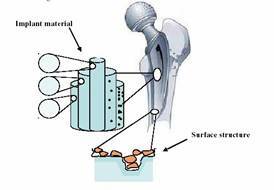 The objective is to produce at prototype level tibial and femoral osteotomy wedges. Studies will be conducted on the use of the developed materials and technologies for complete implants (hip stem, knee) and spine applications. Pyrogenesis is the leader in SP2 and WP3 and has also an active participation in WPs 4,7,9,10. The main role of Pyrogenesis is to develop and optimize Calcium Phosphate-based nanopowder using the sol-gel technology, and to produce Calcium Phosphate-based coatings using various thermal spray techniques and sol-gel technology.